Protect all your valuable information with a RFID Blocking Big Skinny Wallet. 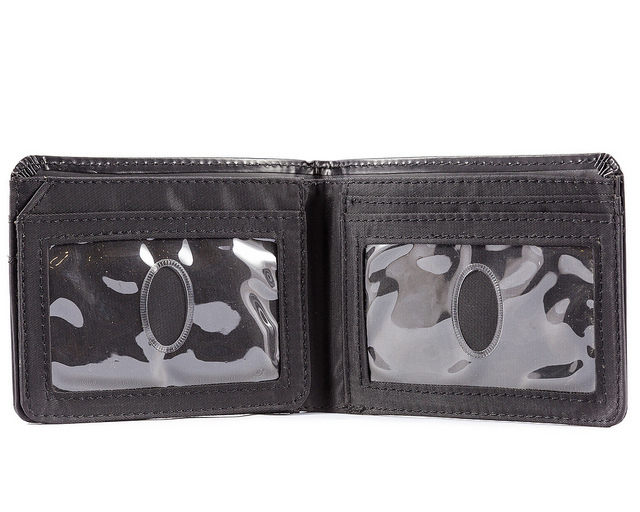 This Leather L-Fold wallet flips open and up to provide additional storage space and options. While you're thinking about that impressive feat, take a moment to admire the super-thin top-grain leather on the outside and ultra-thin nylon microfiber on the inside with RFID-Blocking capabilities. 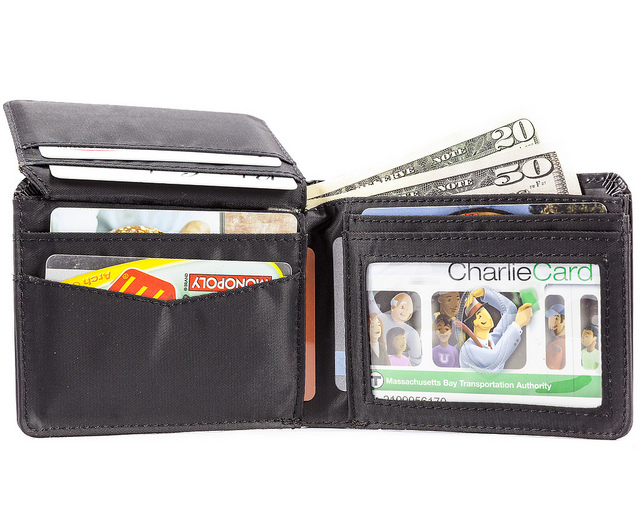 The skinny wallet is available in black and includes rounded corners to make it easy to get in and out of pockets. 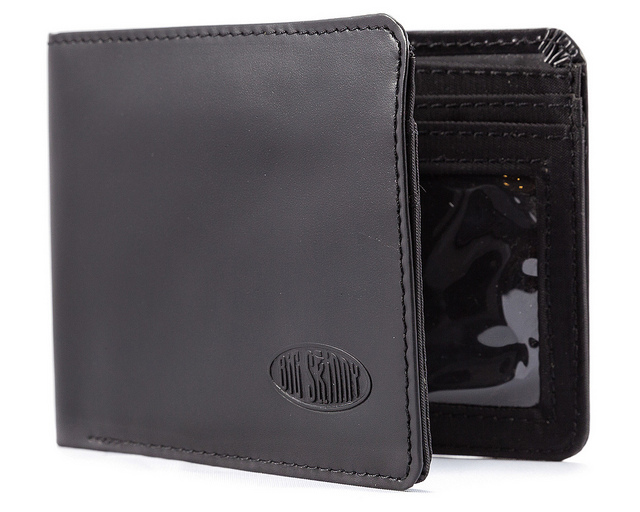 Our wallet aficionados can't get enough of the smooth style and the endless amounts of storage this design offers. The 1st wallet he is carrying in his front pocket! My new husband has been given a number of wallets but he never used them; he normally carries everything loose in his pocket-not good! We were getting ready to leave on our honeymoon to go out of the country when I ordered this wallet. He found it very comfortable to keep inside his front pocket and the organizer keeps him organized! YEAH! Now he can find everything that's in it's place and no one can see how much cash he's carrying around! 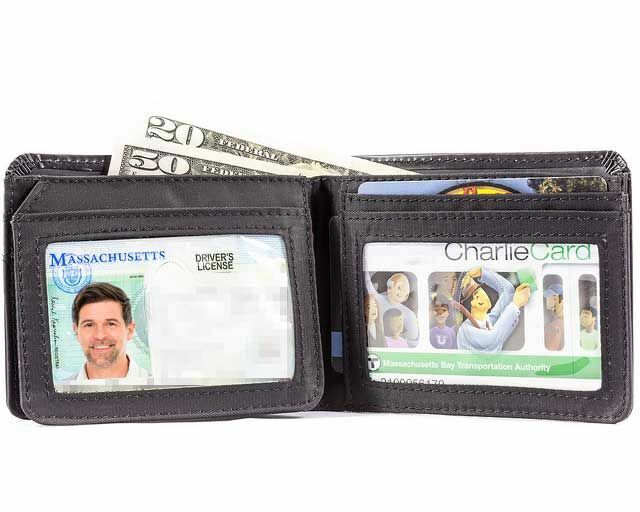 I wanted a wallet that has 'slots' for two ID cards and this one works great! and I like the RFID feature, too! Plenty of storage, and still pretty thin. The credit card slots have a non-slip lining which is really nice. This is my fourth big skinny wallet, and every time I get a new one, it's the best wallet I've ever had. This is my second Big Skinny. I had the last one for years. It really makes a difference. I have another new wallet in my closet that was a gift�€” sorry but it just will stay there because the Big Skinny is where it�€™s at! I originally got a Big Skinny L-Fold wallet in 2011 and it's lasted me all the way to 2018. It's still good, but it doesn't block RFID, so I've upgraded to this wallet & still love it. I can't believe it holds so much and stays so thin! My old it's almost half as thin as my old Skinny Wallet and I don't have to use paper anti hack protection!! Merchant Response:Hi Darryl, Good idea! I'm not a huge fan of the separator being in there either, we used to have a plastic key holder sewn in that acted as a divider- ah well, back to the drawing board! This wallet is so thin, compared to my previous one, that even after placing it in my back pocket I have to double check moments later to make sure its even there. Finally a better mousetrap ! I like. Leather exterior nice & at last RFID in "L" wallet.